Forget about a measly $667 million. The Mega Millions jackpot has been climbing since late July, and on Wednesday, it reached a new all-time high. The estimated annuity value of the jackpot in Friday night’s Mega Millions drawing has been raised to $900 million after no one won the prize during Tuesday night’s drawing. The jackpot is the game’s history. 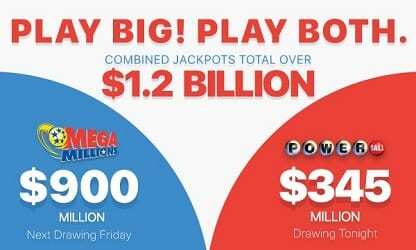 The Mega Millions jackpot has been increasing since a group of 11 co-workers in Santa Clara County, California, shared a $543 million prize – the fourth-largest in the game’s history – in the July 24, 2018 drawing. The current Powerball jackpot has been on the rise since a Staten Island, N.Y., man won a $245.6 million jackpot in the August 11, 2018 drawing.